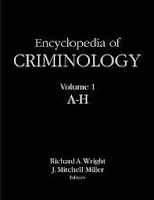 This is a copy of a print publication published in The Encyclopedia of Criminology, edited by Richard A. Wright and J. Mitchell Miller. New York: Routledge, 2005. Please cite as: Deflem, Mathieu. 2005. "International Policing —The Role of the United States." Pp. 808-812 in The Encyclopedia of Criminology, edited by Richard A. Wright and J. Mitchell Miller. New York: Routledge. In matters of international policing that involve police activities transcending the borders of national states, police agencies from the United States play a role more significant than police from any other nation. Historically, U.S. law enforcement was by and large insulated from international activities and cooperation with police from other nations, but since World War II and, particularly, over the past few decades, U.S. police institutions have taken on a dominant role in international operations. Reviewing the involvement of U.S. police agencies in international practices and cooperation efforts, the goals that such international police strategies are aimed at as well as the forms in which they occur are manifold and complex. International police activities radiating from the United States are predominantly planned and executed by several U.S. federal law enforcement agencies. Among the United States’ federal police agencies with international orientations, the Federal Bureau of Investigation (FBI) and the Drug Enforcement Administration (DEA) stand out because of their wide-ranging global presence. Various other U.S. law enforcement agencies also have distinctly international tasks. The terrorist incidents of September 11, 2001, furthermore, have sharply amplified the United States’ role in international police activities in most recent years. As the principal investigative arm of the U.S. Department of Justice, the Federal Bureau of Investigation is responsible for the enforcement of various federal violations of criminal law that have distinct international dimensions, including the policing of terrorism and drug trafficking, the organization of a system of liaison agents abroad, and the administration of international police training programs. The FBI’s system of legal attachés (or legats) is operative in all continents of the globe, currently covering 52 countries. The FBI attachés can engage in criminal investigations abroad and assist foreign police in making arrests, but they cannot make arrests on foreign soil. Among the most interesting recent expansions of the FBI’s international role are the elaboration of its international training programs and the increase in attention to the fight against international terrorism. The FBI administers training programs of foreign police at the FBI National Academy in Quantico, Virginia, as well as at the International Law Enforcement Academy in Budapest, Hungary. Opened in April 1995, the Budapest Academy offers to students from Russia, Eastern Europe, and the Baltic states courses in advanced techniques to combat modern crime while respecting human and civil rights. The FBI’s work on terrorism is coordinated through the Counterterrorism and Counterintelligence division, which oversees anti-terrorism activities both at home as well as abroad. The United States Drug Enforcement Administration is the primary agency responsible for the enforcement of U.S. drug laws. Among its internationally oriented tasks, the DEA engages in anti-drug policing activities at the U.S. borders and abroad. The DEA also serves in a liaison capacity with international organizations involved with drug control. The DEA’s Operations Division comprises an Office of International Operations which is in charge of organizing the Administration’s international missions. In terms of border-related activities, the DEA is particularly active alongside the U.S.-Mexican border. The DEA’s foreign liaisons system is even more extensive than the FBI’s, maintaining 78 offices in 56 countries throughout the world. U.S. participation in formally established multinational structures of police cooperation is not very well developed. Typically, police agencies from the United States tend to prefer unilaterally planned and executed international police work and, to a somewhat lesser extent, bilateral cooperation strategies. Among the exceptions is the participation by the United States in the International Criminal Police Organization, better known as Interpol. Presently providing cooperation among police agencies of 181 nations, Interpol is in the United States represented by the U.S. National Central Bureau, also called Interpol-Washington, which is directed by the Department of Justice and jointly managed with the Treasury Department. Interpol-Washington consists of five divisions: the Alien/Fugitive Enforcement Division which oversees activities involving international fugitives from justice; the Financial Fraud/Economic Crimes Division which focuses on economic crimes; the Criminal Investigations Division which centers on various forms of international crime; the Drug Investigations Division which specializes in drug crimes; and the State Liaison Division which maintains relations with various police agencies within the United States. All agents working for Interpol-Washington are drawn from various U.S. state and federal police agencies. The fight against illegal drugs has been a major factor in the internationalization of U.S. policing, influencing the work of a multitude of agencies to take on international dimensions. Not only the DEA is affected by the war on drugs, but so are some of the activities of the Bureau of Customs and Border Protection (formerly called the U.S. Customs Service), the U.S. Marshals Service, and the U.S. Coast Guard. Importantly, U.S. military forces have also begun to participate in the enforcement of anti-drug crimes, especially in the U.S.-Mexican border region. Additionally, the U.S. State Department is increasingly involved in international police matters inasmuch as the international drug trade is also conceived of as a component of foreign policy, not only a police matter. The Office of National Drug Control Policy develops U.S. efforts to control illegal drugs. The Office specifies among its goals certain distinctly international tasks, such as the protection of America’s borders, the control of foreign sources of drugs supply, and the promotion of international drug control cooperation. U.S. drug policies are also tied in with multilateral initiatives, such as those taken by the United Nations General Assembly and, more importantly still, a series of anti-drug efforts agreed upon in the Organization of American States. Because of shifts in the drug trade towards Mexico since the early 1990s, furthermore, a series of bilateral anti-drug efforts have been taken by the governments of the United States and Mexico. In terms of the control of the United States’ borders, the Bureau of Citizenship and Immigration Services (formerly called the Immigration and Naturalization Service) is primarily responsible for enforcing U.S. laws on immigration. Border control operations are especially oriented at the prevention of smuggling, the entry of illegal aliens into the United States, and the apprehension of smugglers and illegal aliens after they entered the country. The most important police strategy in this respect since the 1990s has been to increase the number of agents stationed at the borders. Alongside of the stationing of a high number of patrol agents drawn from various federal and local agencies, another major strategy has been the use of advanced technologies, such as computerized fingerprint tracking systems, as well as the deployment of military forces in the fight against border crimes. The terrorist attacks in the United States on September 11, 2001 have not only brought about a considerable expansion of police powers in the United States (as well as elsewhere in the world), it has also and particularly influenced significant developments in international police activities. In the United States, the USA PATRIOT Act (the ‘Uniting and Strengthening America Act by Providing Appropriate Tools Required to Intercept and Obstruct Terrorism’ of 2001) places special emphasis on foreign investigative work and the investigation of aliens engaged in terrorist activities. At the international level, also, the September 11 attacks have motivated an expansion of cooperation efforts among the police of various countries. Considering the centrality of the United States as the politically and economically most powerful nation in world affairs, the policing of international terrorism heightens the centrality of the role played by U.S. police agencies in international activities surrounding terrorism. In order to accomplish effective cooperation among police institutions across the world, including counter-terrorist cooperation efforts involving the FBI (the leading U.S. anti-terrorism agency), the target of terrorism is at the level of cooperating police institutions typically redefined in a language that can be shared across the world. To accomplish this goal, police institutions typically de-politicize terrorism to view it as a crime problem with global implications that is stripped of any ideological justifications. As such, longstanding developments in the creation and expansion of a global police culture are seen to outweigh the sudden political disruptions caused by the terrorist attacks of September 11. U.S. participation in international police activities does not always proceed smoothly. The preference among U.S. law enforcement to work unilaterally or only in limited cooperative form can create resentment on the part of foreign police, in turn leading U.S. police to avoid broad cooperative forms of international policing. Typical in this respect is the uneasy membership of the United States in Interpol, for the international organization is judged to be too slow and dependent on national governments, some of whom U.S. police officials can place no trust in. Also, the U.S.-controlled war on drugs is not always judged to have brought about intended effects in terms of the production and distribution of illegal drugs. International efforts to curb the flow of illicit drugs have been seen to bring about a mere dispersion of the problem: the drug trade moves away from locales with heightened police activities to regions where the police presence is less pronounced. Some critics, also, have argued that the very strategy of prohibition is inefficient and costly as well as an unintended cause of criminal activity, especially because well-organized criminal enterprises take control of the drug trade. With respect to the control of drug trafficking at the U.S. border with Mexico, also, serious issues are posed because of the militarization of police work and the redefinition of police duties as national security issues. In matters of border control, there are indications of a differential enforcement at the United States’ borders with Mexico and Canada. The expansion of border policing activities since the 1980s has almost exclusively implied an enhancement of the protection of the U.S. economy from a Mexican invasion of illegal workers, targeting the U.S.-Mexican border as a ‘war zone.’ Because the drug production and trade in Latin America has shifted towards Mexico, the U.S. border with that country has received most police attention. Recent developments in the fight against international terrorism, however, have shifted some attention towards Canada, because the country has been used by suspected members of terrorist groups to enter the United States. Police efforts undertaken in terms of globally understood crime issues that transcend the borders of national states can be expected to continue to be a major part of law enforcement in the coming decades. Especially because of continued problems surrounding illegal immigration, the international drug trade, and, arguably most important of all, international terrorism, attention towards international crime problems among police of many countries will remain a crucial factor in world-wide police relations. A central question for the future is whether the U.S. dominance that currently characterizes many international police activities will continue to be a determining factor in the future or whether there will be increasing tension with and possible resentment from the police agencies of other nations. For as U.S. police forces are typically unilaterally involved in international activities, foreign police may in turn decide to prefer to work without participation from U.S. police, effectively diminishing the scope of international cooperation. Different perceptions of and difficulties in international policing operations reaffirm that the various participants in cooperation efforts remain the key players in the international arena. For instance, the impact of the drug trade and of international terrorism affects nations on a global scale, but at the same time it is clear that national police systems are differently influenced by these global processes and react to them in terms of their own national repercussions. Therefore, it is not only useful to discuss the domestic consequences of global processes, it is clearly not meaningful to analyze international processes of policing without investigating the local dynamics of the various police agencies that are involved in those international activities. The case of the U.S. dominance in international policing shows clearly that international police work is typically conceived of and engaged in as an extension of nationally defined police duties. Unilaterally enacted police operations that are prevalent in U.S. international police operations are an expression of the relatively high degree of autonomy of U.S. police agencies in planning and instigating such operations, irrespective even of political and legal considerations. Relatedly, an emphasis is placed in international police work on principles of efficiency, such as direct police-to-police communications, that may operate in international activities irrespective of concerns related to legality, justice, and civil and human rights. The efficiency-oriented nature of international police activities underscores the perspective that police institutions are relatively autonomous in setting their own agendas on the basis of acquired knowledge and expertise in matters of international crime. This process of achieving a high degree of autonomy in international policing does not mean that participating police institutions can successfully absolve themselves from concerns over legality and rights, but instead that they are subject to evaluations in moral terms precisely because of their primary reliance on efficiency standards. Internationally oriented police activities are guided by expert conceptions of international crime and its enforcement, but in consequence of such conceptions of international crime, police institutions often seek to accomplish efficiency in their work with little regard for issues of legality, due process and justice. The relative independence of police from politics is presently also revealed in the case of counter-terrorism policing. Indeed, while counter-terrorism has clearly moved center stage to the policies of the governments of national states, in the United States and elsewhere in the world, anti-terrorist police operations on an international level continue to operate relatively independently from the politically enacted policies of counter-terrorism. In the case of the United States, a remarkable militarization of the judicial processing of foreign terrorists and new legislation and policies aimed to broaden counter-terrorist police strategies (especially the passing of the PATRIOT Act and the creation of the Department of Homeland Security) are among the most concrete political efforts to control the work done by the manifold U.S. security agencies involved in the ‘war on terror.’ However, the level of professional autonomy of modern U.S. police institutions, especially the FBI, is now at un unparalleled high level, so that police can effectively resist political influences to remain involved with police work that harmonizes with professional standards of expertise and knowledge with respect to the means and objectives of counter-terrorism. With respect to the means of antiterrorist policing, technological advances and concerns of efficiency are observed to be the primary considerations in establishing police practices against terrorism. This technological emphasis is shown in a concern with inter-agency communications, computerized information, linguistic issues, the financing of terrorism, and the use of special techniques such as wire-tapping. And in terms of the objectives of social control, the bureaucratization of policing involves most noticeably a de-politicization of the target of counter-terrorism. A criminalization of terrorism is accomplished by defining terrorism very vaguely, for instance as a ‘crime against humanity’, and by dissociating the distinctly criminal elements, such as bombings and killings, from the complex occurrence of terrorist attacks. The dynamics of international policing, much like many other dimensions of world-historical processes of globalization, corroborate the viewpoint that international events have differential effects on the institutions of different nations. Importantly, the political conditions of foreign policy and international diplomacy do not explain the dynamics of international police work. Among the most important implications in the case of international policing with U.S. involvement is that cooperation between U.S. police and agencies from other countries can be accomplished or can fail irrespective of political and legal conditions. Given the globally recognized centrality of international crime problems, presently none more than international terrorism, the U.S. dominance in international police relations will likely remain an important factor in the future, putting U.S. law enforcement at a distinct advantage relative to other police institutions in the world. Deflem, Mathieu. 2001. “International Police Cooperation in Northern America.” Pp. 71-98 in International Police Cooperation: A World Perspective, edited by Daniel J. Koenig and Dilip K. Das. Lanham, MD: Lexington Books. Deflem, Mathieu. 2003. “The Boundaries of International Cooperation: Problems and Prospects of U.S.-Mexican Policing.” In Corruption, Police, Security & Democracy, edited by Menachem Amir and Stanley Einstein. Huntsville, TX: Office of International Criminal Justice. Koenig, Daniel J., and Dilip K. Das, eds. 2001. International Police Cooperation: A World Perspective. Lanham, MD: Lexington Books. Marenin, Otwin. 2001. “United States International Policing Activities: An Overview.” Pp. 297-322 in International Police Cooperation: A World Perspective, edited by Daniel J. Koenig and Dilip K. Das. Lanham, MD: Lexington Books. Nadelmann, Ethan A. 1993. Cops Across Borders: The Internationalization of U.S. Criminal Law Enforcement. University Park, PA: Pennsylvania State University Press.